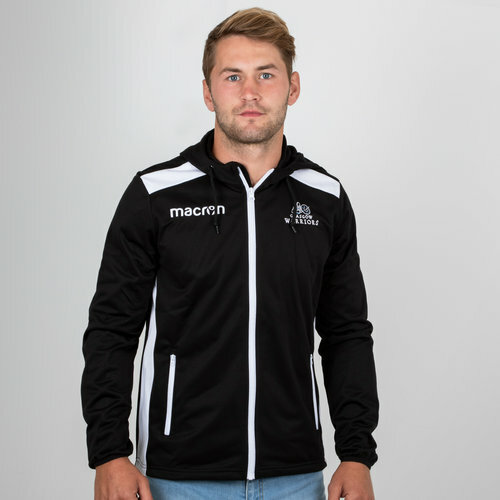 Train to the max and show your support in this Glasgow Warriors 18/19 Cotton Full Zip Hooded Sweat. Brave the weather in this Warriors Full Zip Hooded Sweat. Featuring ThermoReg technology to keep you warm and a woven overlay to upper chest for additional protection against the elements. Forward facing shoulder seams reduce irritation when carrying a backpack, while stretch binding to the hem and cuffs ensures a secure and comfortable fit. Finished with embroidered logos. Ideal for training, travelling or watching the game in the stands. 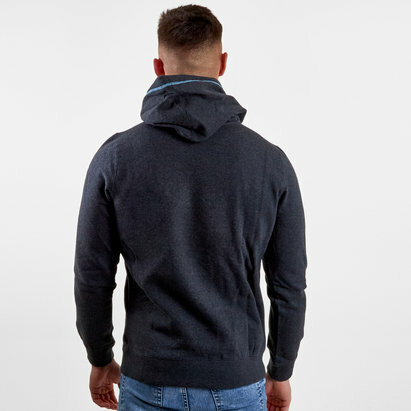 This full-zip hooded sweat is predominantly black with white detailing under the arms and on the shoulders.The full zip and zipped pockets are white adding to the detail already given to the jacket. The Macron logo is on the right with the club crest on the left. 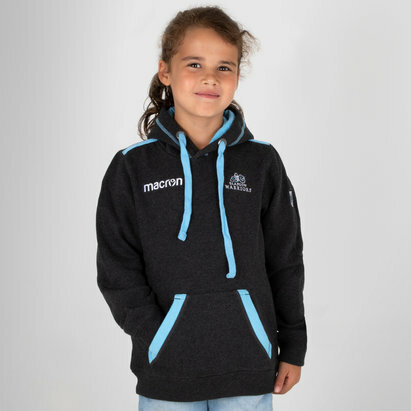 * Embroidered Glasgow Warriors and Macron logos.